Ideally located for all the main tourist attractions and the business person alike. Situated in the heart of Sea Point, we are ideally located for all the main tourist attractions and the business person alike. We are but a few minutes from the Cape Town International Convention Centre (CCITC) and the commercial hub of the City. Further afield the many other activities include trips to the Cape Winelands, The Penguins at Boulders Beach, Kalk Bay with it’s many antique shops, Simon’s Town for Naval History and Cape Point. Spring brings out the flowers on the west coast and the whales along the east coast, most famously at Hermanus. For the sportsman golf courses abound, gyms are close, surfing, windsurfing, and paragliding are also popular plus of course the Western Cape is famous for its extreme sports. 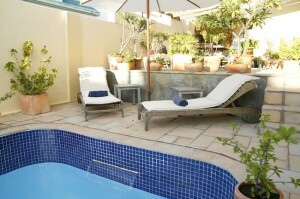 Relax, swim or just chill-out. These plus many other attractions and activities within the region may be found on Cape Town Tourism website. 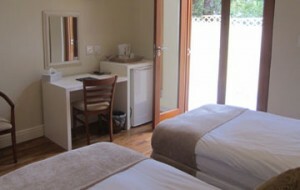 Click here to take a look at our Loloho Lodge Guesthouse gallery of images. All rooms include bathroom en-suite with shower, heater & electric blankets in winter, tea and coffee tray, refrigerator, LCD Flat Screen TV with DVD & CD player, digital safe, ceiling fan, ADSL cable connection, WiFi, desk/dressing table and fresh 100% Percale cotton bed linen Own direct access to the pool and patio areas. There are no facilities for extra beds in the rooms. maximum number of guests is 2. Young guests from 16yrs old are welcome. Note we kindly request your estimated time of arrival at the latest the day before arrival in order to ensure prompt access, we accept no responsibility should this request not be adhered to. Should your arrival time be outside these times then please contact us before booking. Latest check-in time is 22.00hrs. Secure off-street parking is available but not suitable for 4×4’s, large cars, other large vehicles or trailers. Guests may occupy their rooms early if they are available, however, should you wish a late checkout and wish to use the facilities, then it is recommended you book an extra day as rooms must be vacated by10.00hrs to facilitate their preparation for the next guests, which could be you!! Alternatively, luggage can be locked away securely and collected later in the day at a mutually convenient time prior to departure.